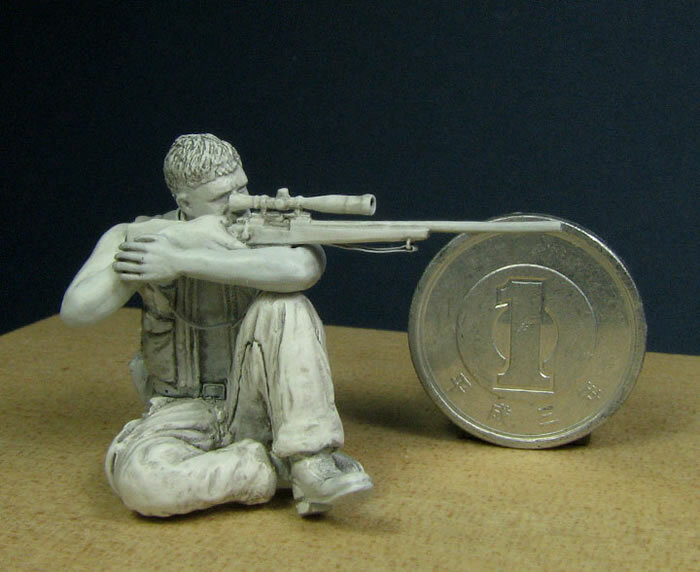 Miki Shimizu. 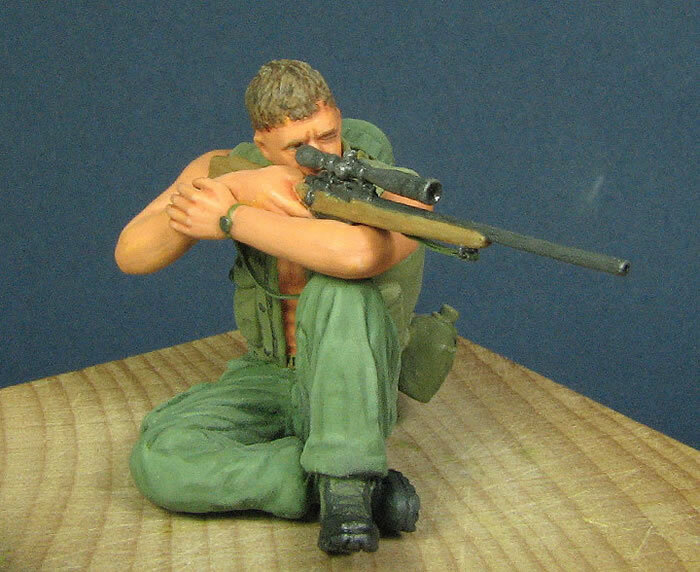 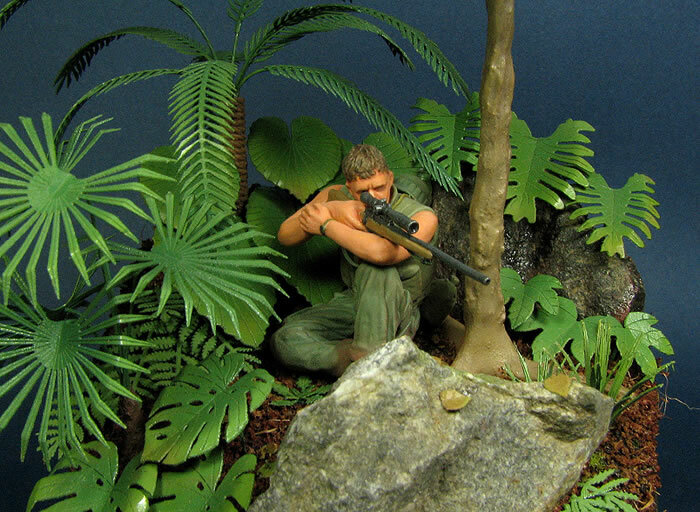 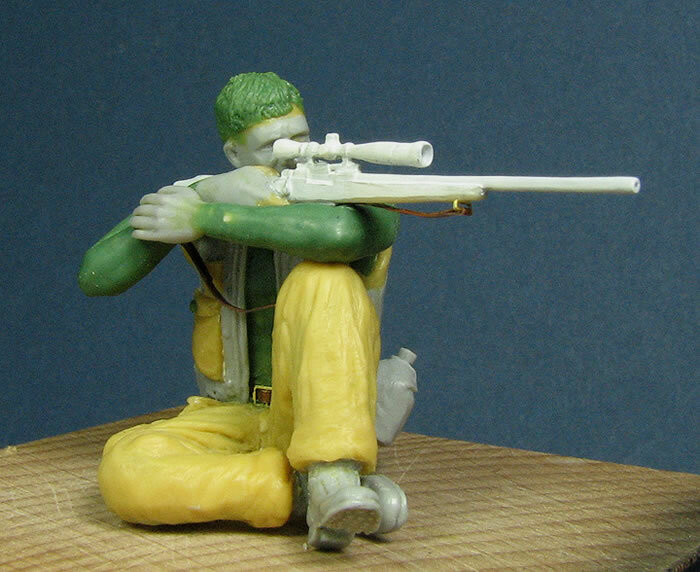 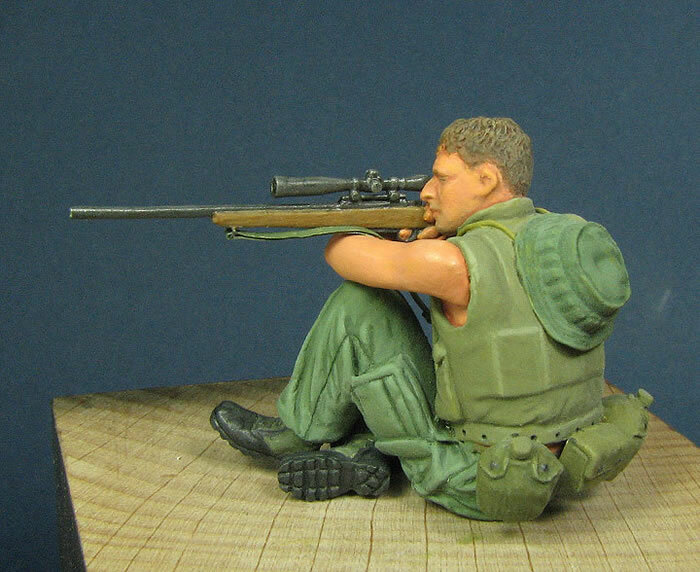 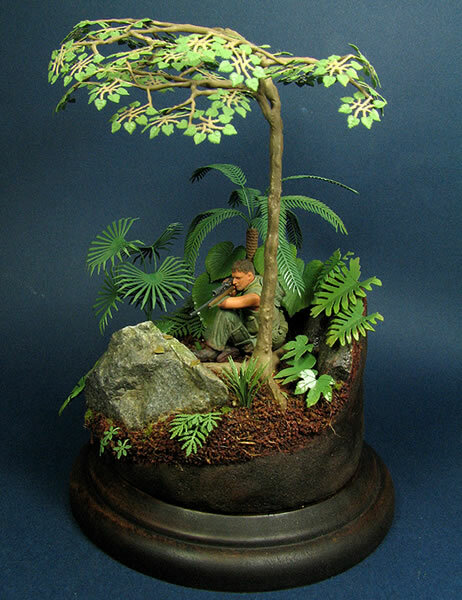 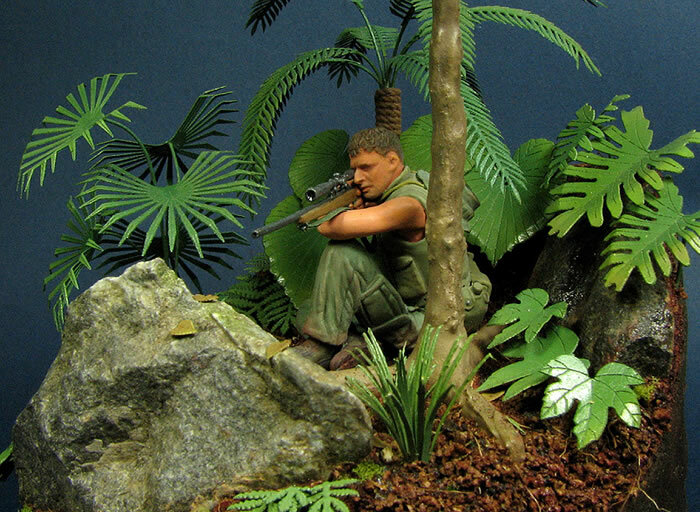 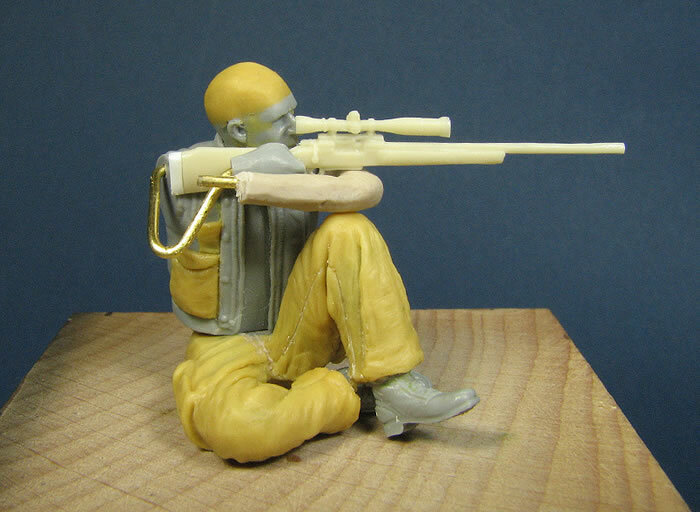 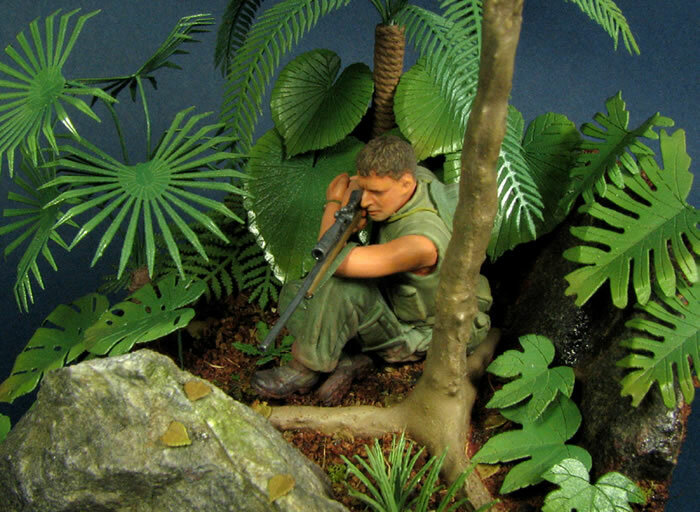 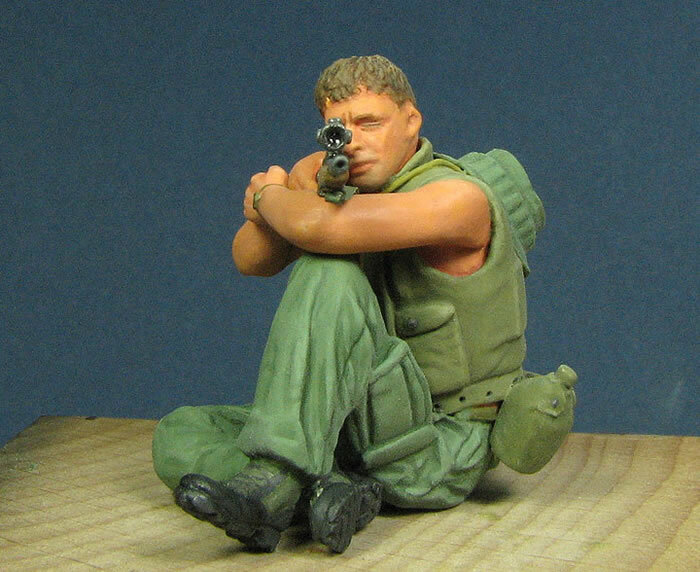 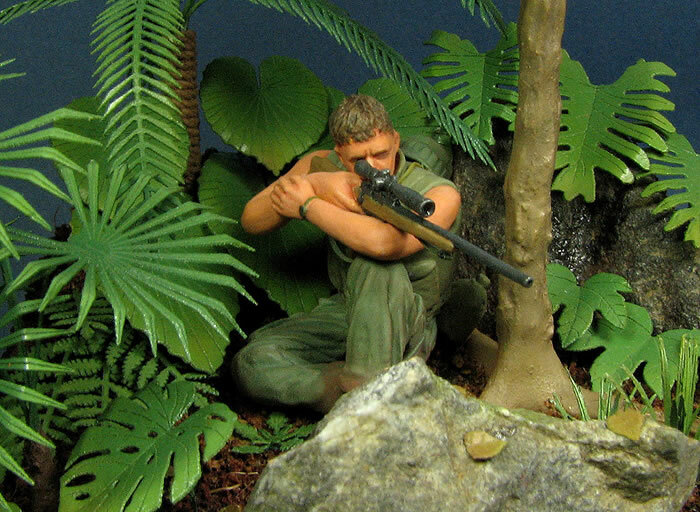 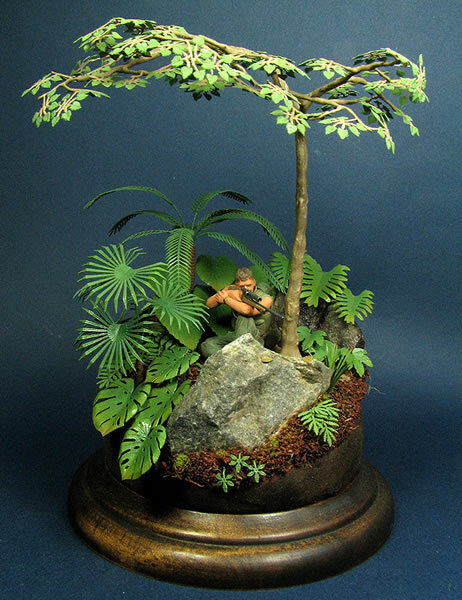 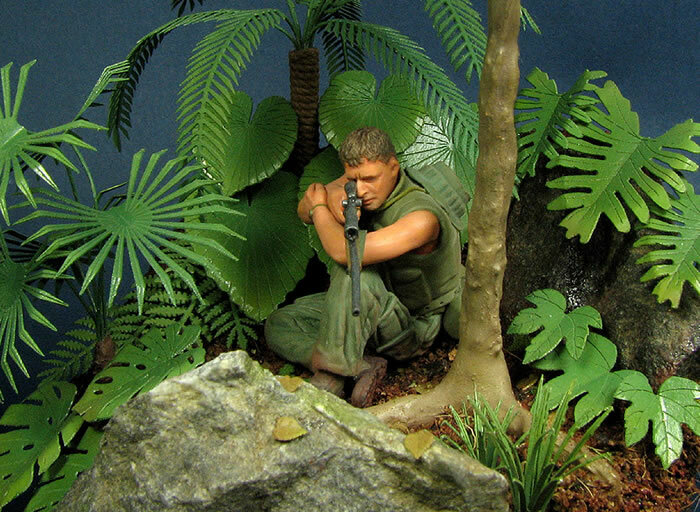 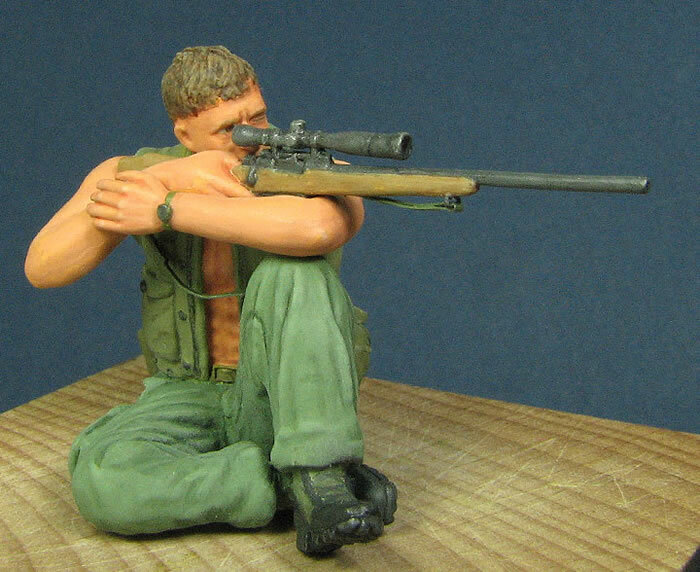 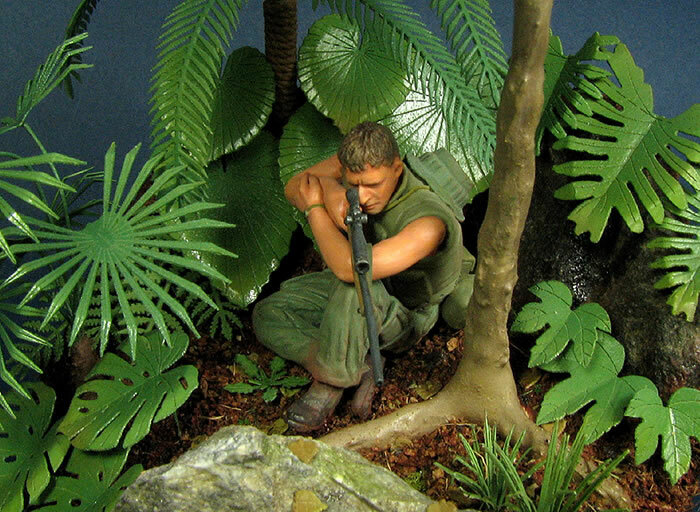 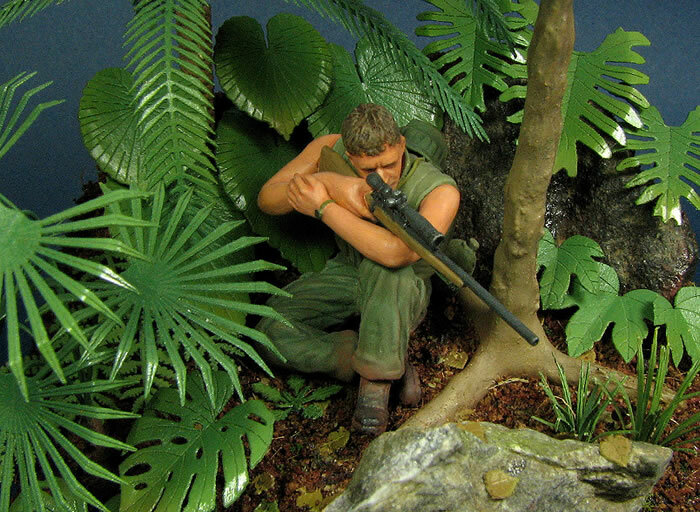 The name of this diorama is ''US Marine Sniper in Vietnam'' The figure is half scratch. 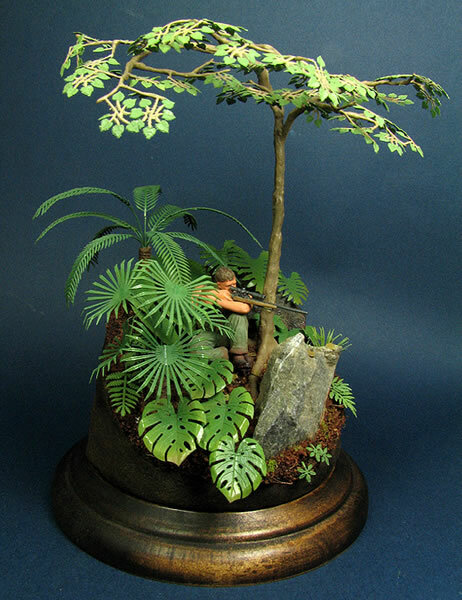 This is using Blast Models's Modern Sniper rifle set & ''Kamitukuri'' paper craft Plant kit (Jungle set 1,2,3) & Vietnam Figure set of Dragon kit.